As you read this, the westernmost edges of the northern hemisphere are relinquishing the dying hours of the summer solstice, the longest day of the year and the official beginning of summer. While the occasion gave cause for Beyoncé to take the sands of Hawaii adorned in the citrous emblem of her husband’s alleged infidelity, those of us without private jets at our disposal are just as likely to take to our cities’ parks to celebrate the beginning of warmer months. 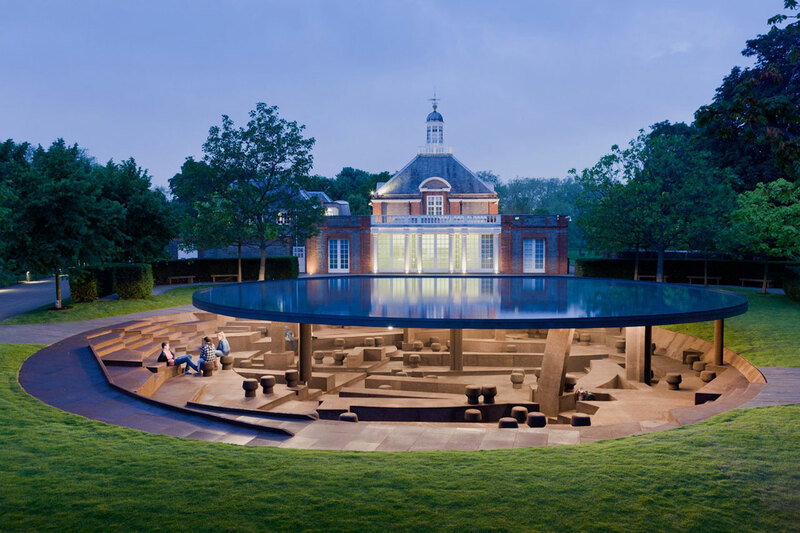 Nowhere is this ethos more heartily embraced than in London, where the advent of summer park sessions coincides with the launch of the Serpentine Galleries Pavilion commission and annual Park Nights program in Kensington Gardens. For the uninitiated, the Pavilion commission, now in its 16th year, has become a major international site for architectural experimentation. Each year, the gallery charges the world’s greatest architects with the task of designing and building within six months a cultural hub that during the day houses a café (this year created in collaboration with the decadent food halls of Harrods) and at night becomes a forum for performance, dance, discussion, theory, film, music and literature. 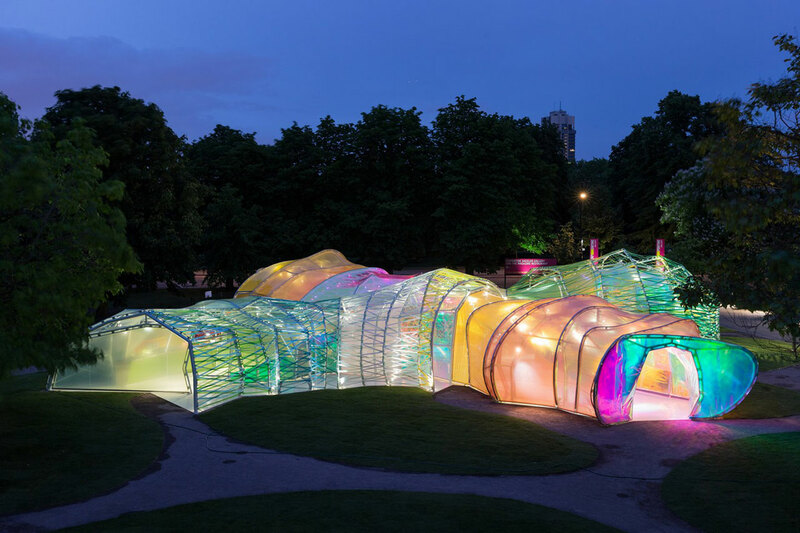 “The Summer Pavilion is a quintessential London experience and something that everyone can enjoy,” Karin Gustafsson, creative director of COS, supporting partner of the Park Nights program, told GRAZIA from London. Should the significance of the occasion have escaped you thus far, previous years’ pavilions have been designed by industry iconoclasts including Frank Gehry, Rem Koolhaas, Brazil’s chief architecture export Oscar Niemeyer, the late Zaha Hadid and the Japanese architect Sou Fujimoto, who until this year was the youngest architect chosen to design a pavilion and whose work was so inspired that it resulted in a collaboration with COS on an installation at this year’s Salone del Mobile – the world’s largest annual design fair, held in Milan. 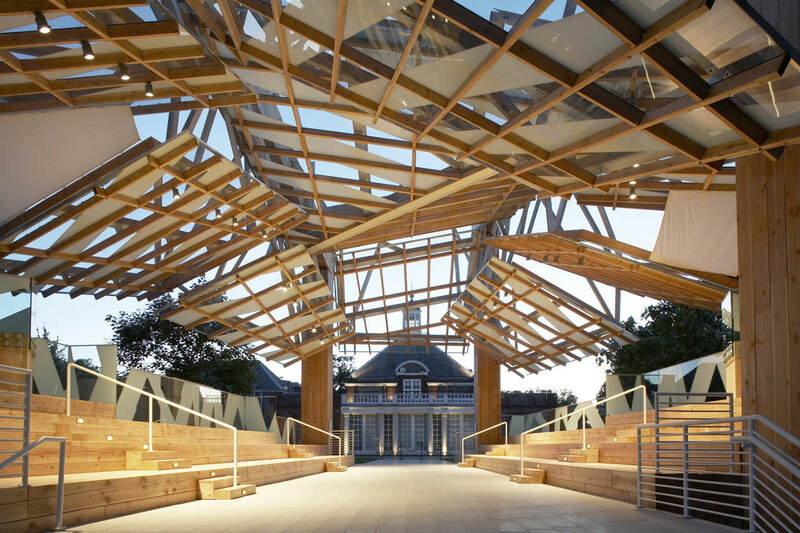 While previous years have seen participating architects engage in more explicit collaborations with internationally-acclaimed artists like Ai Weiwei and Olafur Eliasson, this year’s pavilion looks inward to take on the arts. An ‘unzipped wall’ constructed from hollow fibreglass frames, this year’s pavilion was designed by the Bjarke Ingels Group (BIG) and acts as a towering beacon that transforms from a straight line into a three-dimensional space. It’s inside the structure that the after hours Park Nights program intends to question and explore the transformative nature of performance through a multidisciplinary program that addresses ritual and revolts. On the cards are dynamic and diverse offerings including choreographer Silas Riener’s performance of Thinging: Dance and Translation inspired by the work of poet, translator, and essayist Anne Carson; readings from poets Fred Moten and Eileen Myles will be accompanied by a visual intervention artist Sondra Perry; and a live recording of BBC Radio 3’s Late Junction, featuring live sets by musicians and artists, will also be broadcast at a later date. Gustafsson, however, is most excited about “the element of surprise” that a summer spent fully immersed in the Park Nights program brings with it. 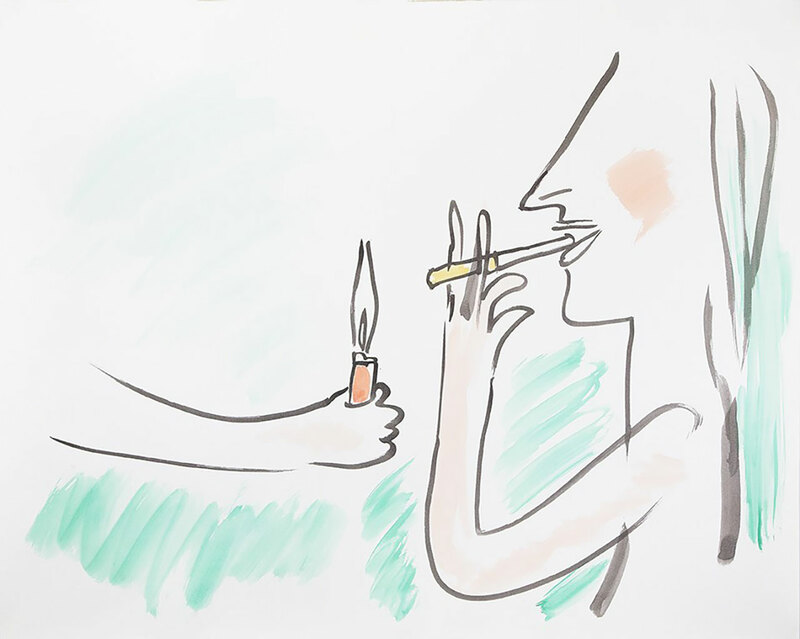 And from there, if the night is still young? As for a zipper-centric COS collaboration with BIG – not unlike the one that resulted from Fujimoto’s 2013 pavilion – could there be anything similar on the cards? 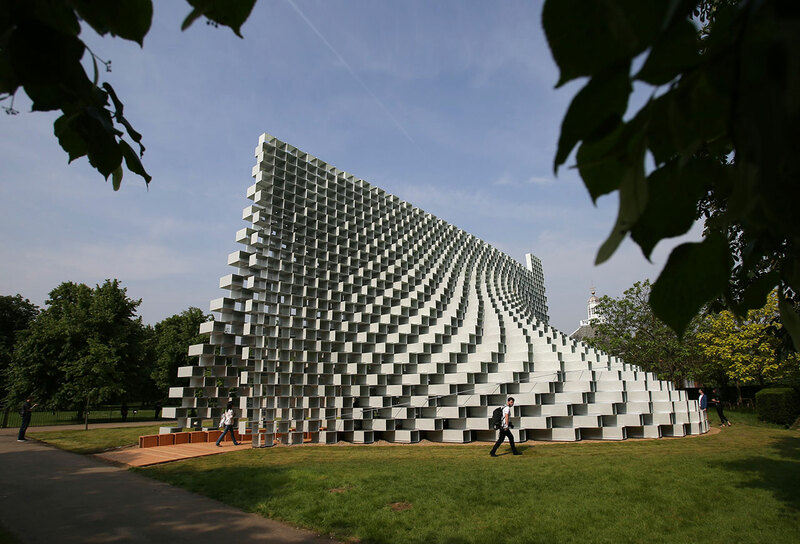 The Serpentine Pavilion is open daily from 10am to 6pm. You can find more information here and see the full Park Nights program here.